1. Rolls adopt solid bearing steel with annealing treatment, grinding and hard chrome plated. 2. It makes the material smooth without any damage. 3. 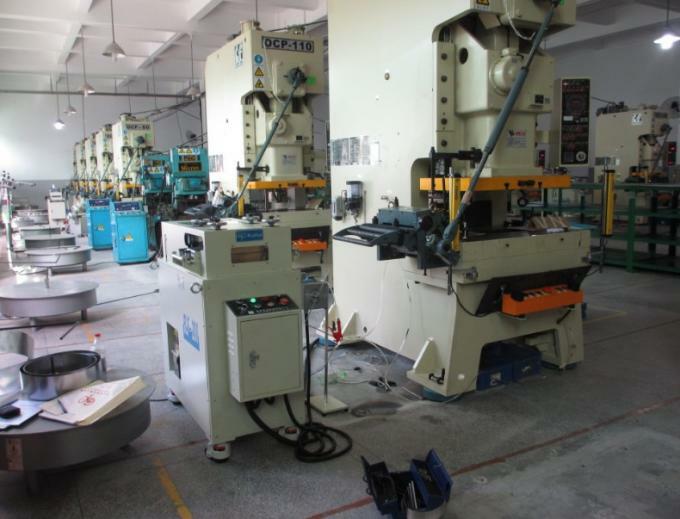 The machine can be used alone or can also be equipped with MT uncoiler. 4. It adopt super cylinder to hold down the materials. 5. The worm jack gears make it more precise. 7. increase the efficiency and lengthen the lifetime. 1.Oiling device:An electromotive pump forces oil to the work rolls. This oiling device eliminates the need for troublesome maintenance work and supports the optimal operation of the remaining quantity of oil can be checked at a glance,and oil can easily be added. 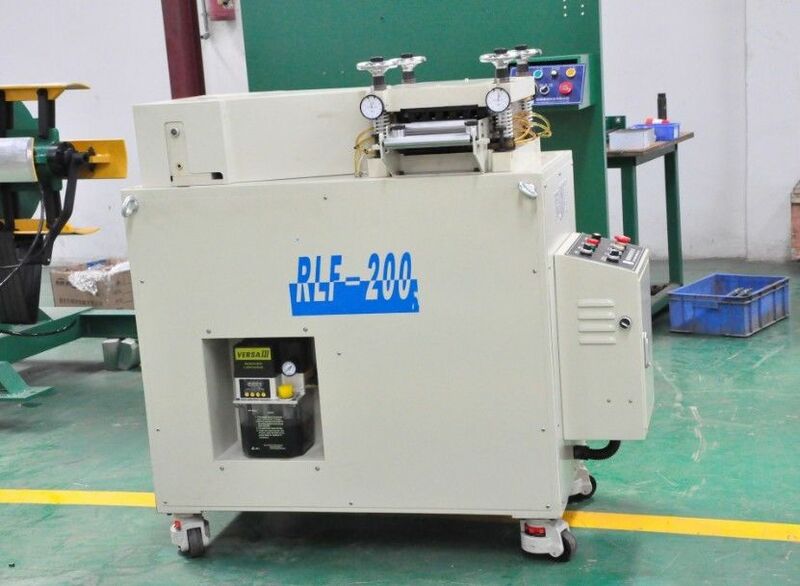 2.The amount of flatness-adjustment can be easily controlled throught the operation of handles. The amount of flatness-adjustment can be controlled not only at the inlet and outlet sides.but also at the back and front sides simply through the operation of handles. 3.Work rolls:Precision machining using 22 work rolls with the thinnest diameter. 22 work rolls with the thinnest diameter [φ12mm] on the market remove residual stress.Wide sheet metals of up to 300mm in width can be handled,which satisfies the increasingdemand for precision components machining. 4.Caster base:A caster base with locking casters for easy movement and fixing is included as standard equipment. The caster base enables flexible setting of the leveler. 5.Drive unit:Drive unit with specifications of a higher-grade unit. The drive unit is compact but has the highest-level specifications such as superior electromotive efficiency, oil-bath type gearbox, and a universal joint. The inverter in the drive unit enables flexible speed change. 6.Detection by a lightweight cam:The cam maintains the appropriate tension of the material and supports optimal operation. The leveler ensures that the inverter always operates optimally in accordance with the line speed. Smooth acceleration and deceleration reduces loads imposed on materiales and equipment such as the feeder. Forward and backward operations can easily be changed simply by flicking a switch. 7.Inventive antenna type detection bar. The ultra lightweight detection bar can be operated with only 10g of operation force and can detect both conductive and non-conductive thin sheet metal. Furthermore, a unique curved shape prevents scratches on the material surface for worriless operation.